Fifty Shades of Grey Sky…but the sun shines on our beaches. Did you know that there are 18 regional beaches in and around our area? No need to fly abroad when you can go to a sandy beach near home, so put up your picnics, get the buckets and spades and head off to one of the local beaches near you. Maybe take an umbrella just incase of the fifty shades. 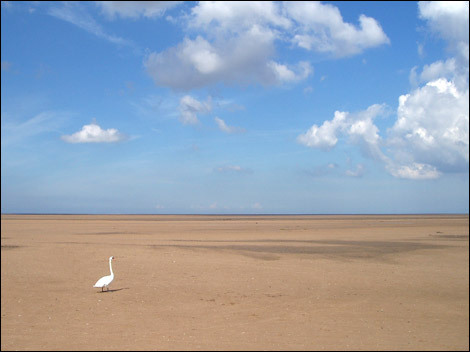 Locally and within a stones throw is the historic Hale coastline near Speke. This is excellent for an afternoons walk from the local pub, past the Childe of Hale Giant tomb in the churchyard and down to the Lighthouse. We usually stroll back and have a pub lunch after that. 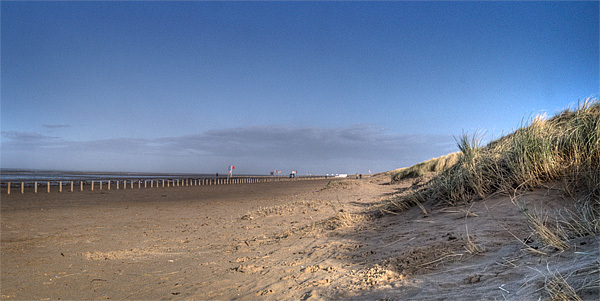 A little further afield, you can visit Ainsdale Beach for a stroll by the sea and the dunes, home to the rare Natterjack toad or discover Blundellsands Beach and Crosby Marina bistro and lakeside cafe with the adventure area for the children to explore. You try keeping me off that stuff, it’s brilliant climbing! Try Formby Lifeboat Road beach with its wooded spa fitness centre, fantastic for an afternoons tea or coffee around the outside pools and then just take a walk down the road to its local National Trust reserve -one of the UK’s last remaining refuges of red squirrels. Then, further up the coast we have Southport Beach, a promenade and an elaborate pier with an historic guided walk around the town. Don’t forget Victoria Road Beach with their red squirrel’s and neolithic remains of Pre-historic mans footprints or try to catch a glimpse of the sub-merged ancient forest. 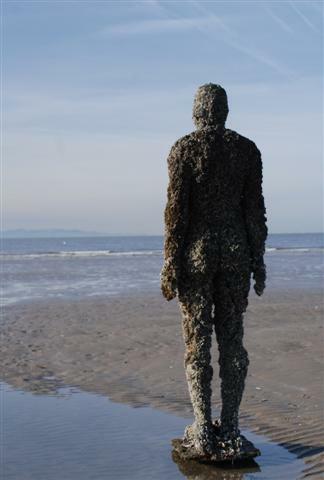 Further up the coast if you have the energy, try St Annes Beach with its long promenade, Morecambe North and South Beach; Cleveleys with a coastal footpath and Fleetwood’s Museum, a Leisure centre and stunning sculptures. Across the water you will find no end to our beautiful coastline but nothing beats the re-vamped New Brighton scene with its fort, lighthouse, gardens, Floral Hall, promenade, and continental eateries. Just love this place!!! !